Not all of last month’s Farm Bière wort made its way into the fermentor. Instead, a small portion was diverted into separate mini-fermentors to evaluate a dozen new foraged yeast isolates. These yeasts were initially foraged from Maine, Massachusetts, and New Hampshire during summer/fall 2016 with the help of Flynn. Once captured, slurry was sent to Jeff Mello at Bootleg Biology for isolation. Fast-forward four months and one dozen isolates arrived in the mail ready for evaluating! Below are the condensed tasting notes, provided in 10-word highlights for each beer. They are described in order of preference. Overall, none of these foraged yeast isolates were particularly appealing. #4 was the most palatable, particularly due to its fruitiness, however I still prefer my house yeast strain (foraged yeast #1). Interestingly, many of the isolates displayed aggressive banana esters (think textbook Hefeweizen) or offensive canned bean flavors, neither of which were particularly enjoyable. 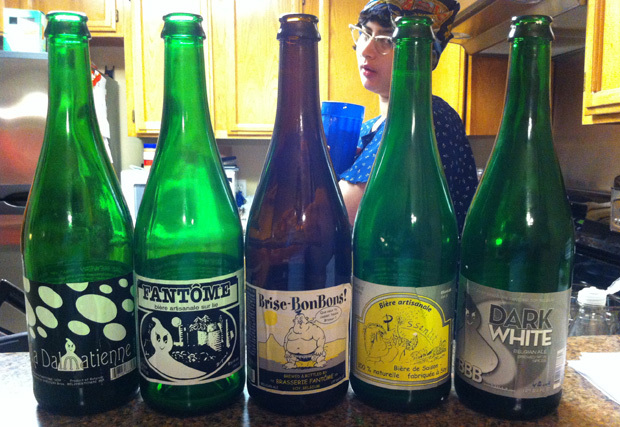 #10 was toward the bottom of the list, but was very reminiscent of some of the flavors commonly found in Fantôme offerings. 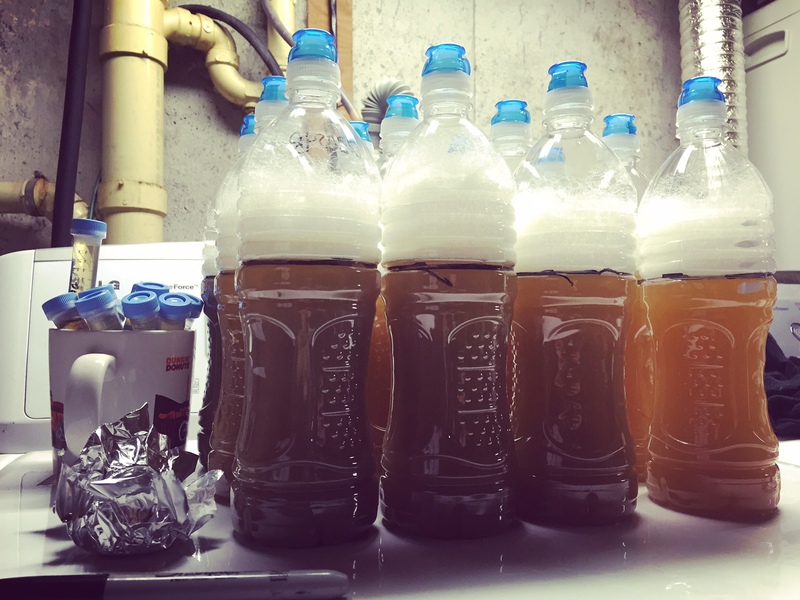 Not all experiments pan out, but these mini-fermentations were still interesting and informative. I am looking forward to the next round of foraged yeast isolate pilot batches later this month! Are you planning to mix some of the yeast to see if it would give different results? Great blog by the way! I previously experimented with multi-cultured foraged yeast strains for Table Ale #1, with underwhelming results. I still have these isolates and may very well try to mix some of the strains for more analysis. Unfortunately, once you start mixing yeast you quickly get an exponential number of test batches! Additionally, I’ve thought about also using foraged yeast for secondary fermentation, since some are likely Brettanomyces. So much to do and so little time! Yeah, mixed fermentation can become quite a challenge with that much isolates! I was also wondering if you have seen a pattern between the source of the yeast and the tasting notes that they produce. In other words, do fruit yeast produce better beer than flower yeast for exemple? That is something I am hoping to be able to qualify with the yeast isolates. I’ve been keeping track of the source (fruit/flower/etc), terrain (countryside/city/coastal/vineyard/etc), temperature, and weather to see if there is any sort of correlation between those variables. I intend to have a future post recapping any relationships I find from my first three or four foraged yeast pilot batches in the coming month or so.